There is a wide variety of flooring on the market these days, and unless you’re familiar with each option, it can be difficult to decipher the minute differences. If you live in the Nashville or Greater Middle Tennessee area, you can take your questions to the professionals at Ozburn-Hessey. Without knowledgeable professionals to ask, however, many folks are left to the mercy of the internet where the subject of reclaimed wood might bring some confusion. Is reclaimed wood a good option for your floors? Let’s shed some light on the subject. Just What is Reclaimed Wood Anyway? In the simplest of terms, reclaimed wood is any traditional hardwood rescued from a previously existing home or business. After it is claimed from its previous home, the wood is sanded down so that the surface can be restained. Then, if the wood is going to be used for flooring, the surface is treated with chemical sealing agents to ensure protection against moisture and water. Most flooring is prone to water damage (except for vinyl plank flooring), but reclaimed wood is especially susceptible because of its advanced age. But if properly sealed, the inherent durability of traditional hardwood means that even if the wood is plenty old by the time it is installed, it still has quite a long life before replacement becomes necessary. What are the Advantages of Reclaimed Wood? The number one reason why most people install reclaimed wood in their homes is its beautiful look and feel. Any room where reclaimed wood is installed will have a definite sense of history. Such a floor will retain its character even long after it has been resurfaced. Sure, there will be scratches, dents, and nicks (all of which can be minimized), but no one chooses reclaimed wood for the smooth surface. Additionally, when it comes to the elements, reclaimed wood is made of the sternest stuff and is sure to be the winner in any survival contest. What are the Disadvantages of Reclaimed Wood? The primary caution with reclaimed wood is that you don't always know where the wood is coming from. 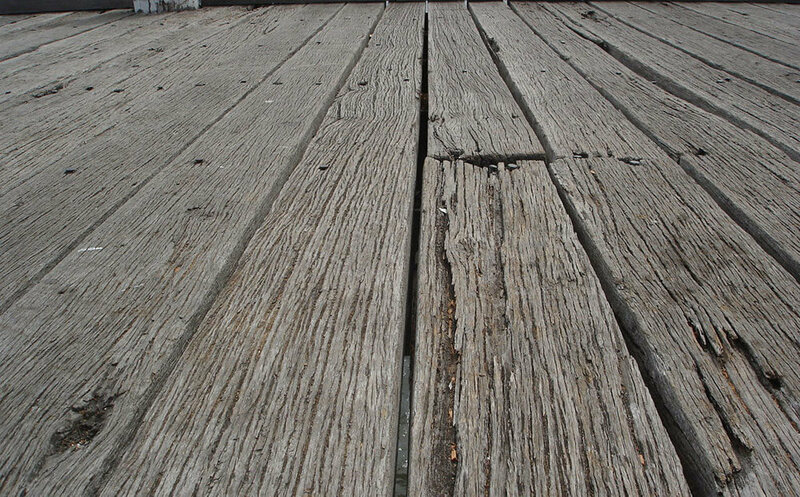 Additionally, there is no way to know with certainty what treatments have been used on the surface of reclaimed wood. While the idea of using reclaimed wood is attractive in an ecological sense, you do run the risk of bringing something harmful into your home. Neither of these things are an issue when you get your wood from the professionals at Ozburn-Hessey. Since we know every manufacturer we use personally, the quality of all our relciamed is guaranteed. Reclaimed wood is the ideal way to instill a sense of history and personality into your home or office without sacrificing quality. Reclaimed wood floors, when purchased from a reliable source, are durable, strong and known to last. If you’re looking to install a reclaimed wood floor in your home or business, contact the professionals at Ozburn-Hessey. We’re ready and willing to answer all of your flooring questions and to help you choose the best floor possible for your space.